Do you have any truck fans in your life? My two-year-old absolutely loves diggers, mixers, dozers, and all types of construction machinery. To help him explore this interest, we have added quite a few construction books to our home library, Goodnight, Goodnight Construction Site by Sherri Duskey Rinker and Tom Lichtenheld is one of our favorite titles in this category, and it is this week's pick for the Virtual Book Club for Kids. Did you know that the team behind this book has a new title coming out? Mighty, Mighty Construction Site will take on themes such as teamwork and friendship, and it will be released on February 14, 2017—just in time for Valentine's Day. Sounds mighty good to me! To celebrate this week's book club theme (CONSTRUCTION), I put together a construction-themed, printable worksheet for teaching about sequence. Story sequencing is an important thinking skill for young readers and writers. To understand what they read and to write coherently, emerging readers must understand that stories have a beginning, middle and end. This simple organizer helps introduce and reinforce that concept. Point out the three rectangles and discuss how they represent the three parts of a story: the beginning, middle and end. Orally tell or retell a familiar story to model this type of thought. Point to each rectangle as you share your thinking out loud. Discuss and use transition words such as "first," "then," and "finally." These words give readers and listeners clues about how a story is organized. Encourage your child to tell or retell a story with a beginning, middle, and end. Write his or her words in the rectangles while s/he dictates. Work with your child to draw or write in the rectangles to tell or retell a story. 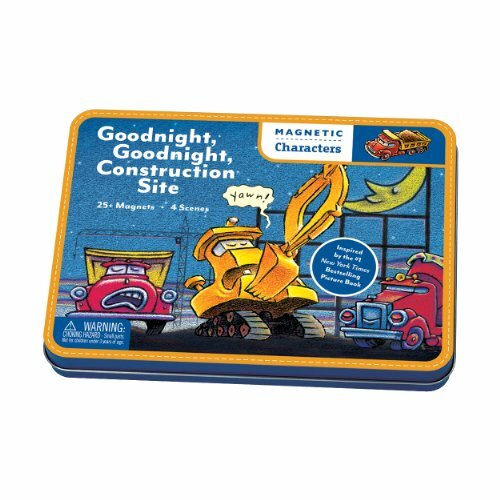 Use these magnetic characters from Goodnight, Goodnight Construction Site with the printable. Work with your child to arrange the characters in chronological order based on the book or to create new adventures for them. This free content is available for Chickadee Lit subscribers. Sign up with your email address to receive the printable and more storytime goodies. Download or print your "Construct a Story" worksheet here. Pin this post to save or share it.